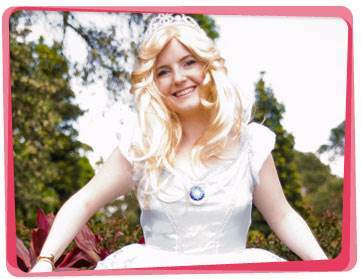 Fairytale castles, charming knights and ugly toads are just some of the themed stories our delightful princess can share when she graces your kids birthday party in Canberra and puts a spell on all the children! 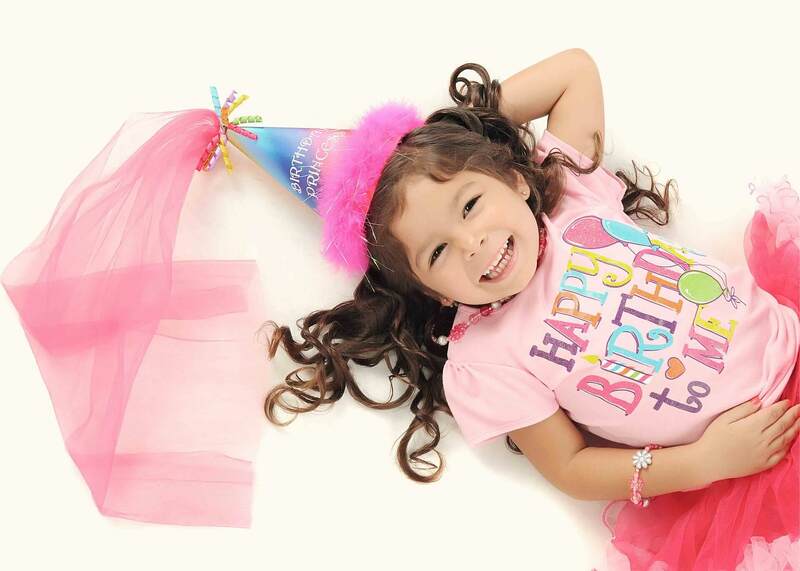 We have a bundle of perfect princess party ideas designed to thrill the kids from the moment she knocks on your door with a magic show, face painting, a treasure hunt, modelled balloon art, games (including pass the parcel) and more. We’ve been in the fun making business for close to twenty years and our customers love what we do. 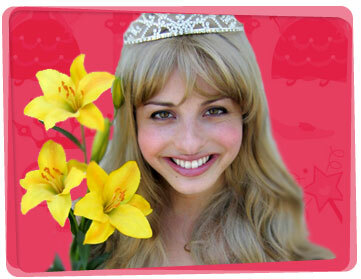 We can provide one of our Princesses for hire in Canberra for whatever occasion. Here’s a great princess party game idea for the kids to play whilst your entertainer is still on the way! This is a good game if you’re holding your kid’s party at the beach or a playground with a sandbox. Hide the “treasures” in a large Tupperware that’s full of sand. You can include a chess piece, toy watch, fork, plastic dish, thimble, plastic cup, mirror, and jewelry. Have the kids search for these treasures in the sand within a given time limit. The kid with the most treasures found is the winner. If you there’s a large group of children at the party, you can prepare three or more Tupperwares with buried treasures. Split the team into two. The first team to find all the treasures wins. 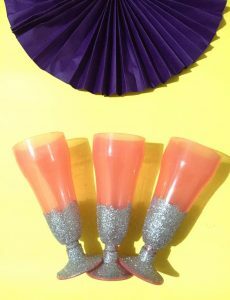 Apply Mod Podge on the neck and base of the plastic wine glasses. Cover the whole area with glitters and leave it to dry overnight. On the next day, shake off the loose glitter. Apply Mod Podge on top of the glitters to seal it. We suggest creating this about 1 week before the party to give it time to completely dry and settle in. You can find clear plastic wine glasses in Kmart. Visit them at Westfield Belconnen, Westfield Belconnen S/C, Emu Bank Rd, Belconnen ACT 2617 or find a branch nearest you.